A 365 day journey dedicated to the art of learning self love. 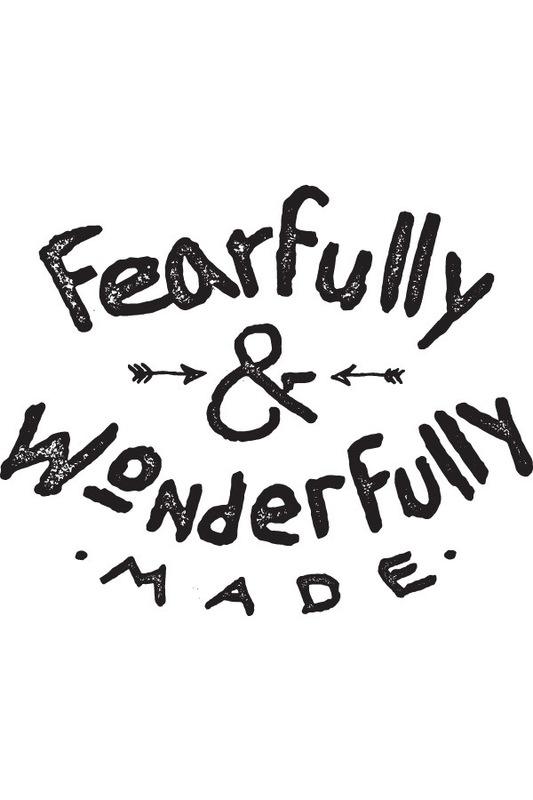 Current life motto: I am Wonderful! Have you ever had a wakeup call? Like you were so stuck in this one pattern of thought and God kept on shouting at you over and over again but you just weren’t getting it. So finally He decides to humble you by breaking your pride down just so He could get your attention. Well. This kind of just happened to me. And I wanted to share the wisdom I’ve been imparted with, because it really is important and it definitely pertains to loving yourself – because apparently I haven’t been doing that, and it was no wonder why I felt the way I did. If you’ve been following my blog, you know that recently I have been in a sort of depressive funk. Most of the reason being because I recently cut my hair pretty short (somewhat accidentally), and from someone having really long hair for the last 5 years, it was a dramatic change. What made me feel even more self-conscious was the fact that after I cut my hair everyone told me how relieved they were that I cut it because the hairstyle and color I had before was pretty bad (and that’s saying it lightly.) I love when people are honest, but when people are honest and start to poke jabs at my appearance, I become extremely self-conscious because it takes a direct hit to my self-worth. I’ve always equated part of my self-worth to my physical appearance on some level or another. I mean I’ve always been pretty confident about my appearance (not trying to be vain here!). However, it wasn’t always that way. As a child I was teased plenty. I’m going to get real honest and vulnerable here so bear with me. I have a very prominent nose and children in school used to always make fun it, calling me “big nose” or “flamingo.” It was so hurtful to the point where I would come home crying very often saying that I was ugly. I fed myself this lie constantly and because there were so many around me that confirmed it, I started to truly believe that I was ugly. Then came high school. I found out more about make-up and fashion and how you can manipulate your looks with the two, so that’s precisely what I did. This carried on well into my mid-twenties. I would put myself in significant debt with the amounts of money I spent on clothing and make-up just so I could feel beautiful and win the approval of others. I wanted people to tell me I was pretty. I wanted them to comment on how good I looked or how my make-up was beautiful. But I never realized that I was always hiding behind my insecurity. I was putting on a façade just so I didn’t have to face my deepest fear that I felt ugly and unworthy. It wasn’t until my breakdown and financial meltdown in 2014, when my façade finally collapsed. I was ridden with the worst anxiety in my life that I did not care what I looked like because I could barely even function, let alone find the energy to care about my appearance. I had lost my home. Lost my ability to buy any new clothes or make up. Lost my desire to even get dressed up because I was so depressed over everything else. So people were faced to see the real me. Once I finally began my recovery, I was pretty terrified over what people would think. I remember going back to work feeling so weak as a person. I didn’t have any money or cool clothes or any kind of fashion sense anymore because I felt so out of the loop. I looked so plain. And I felt that people could tell I was different. I felt even more depressed because of this. However, things did change in one way. I began discovering how to accept myself for where I was at. To accept this new self that did not have anything to hide behind. To accept showing people my real self, my vulnerable self. I began The Self Love Challenge and started discovering ways how to love myself more and show more kindness to who I was. I started to grow again, but of course I still wasn’t the same as before. And while I may not have thought so at first, now I believe that it is good that I am not the same as I was before. However, even though I am doing much better than I was, God recently revealed to me a deeper wound that I was still carrying – one where I still was not able to accept myself completely. Sure, I may seem that I value myself on the outside and I may even show kindness to myself on some days, but deep down, I still feel the wound of feeling unworthy, and most of it comes from my own insecurity of feeling ugly or unlovable. I know, it may sound silly to some of you. You may say, “no way, you are so pretty!” or “there’s nothing wrong with you, you are beautiful.” But I don’t think it’s fair to discount anyone’s issues. What may be insignificant to one person, may be a severely damaging thought pattern to someone else. I was ingrained to believe that I was ugly because of my nose, which began to form even deeper core beliefs that I was ugly, unworthy, and not valued. We may not ever realize where these deep beliefs come from on the surface, but if we dig deep enough we will eventually find that somewhere in our past we were wounded very deeply and that that wound never healed properly, leaving with it a deep scar or thought pattern that was never mended. When I cut my hair, the old wound decided to resurface. Maybe it wasn’t my nose this time, but it was still the same underlying belief that I was unworthy. I felt so insecure because I had been hiding behind my hair again and now that it was chopped off, I was revealed once more. Thoughts kept popping up into my mind, “would people still think I’m worthy?” “Am I still loved?” “Am I still considered beautiful?” These thoughts seem a bit silly to my now, but in the last few weeks I have been crying because I could not figure out the answers. And then I would analyze and re-analyze every single comment from someone, almost hoping to find some kind of confirmation that I really was ugly. That’s what we do when we are wounded. We look for reasons that confirm our negative beliefs. We don’t do it purposely because we are looking to deliberately hurt ourselves, but we do this because the mind is wired to look for reasons to confirm a belief, especially a negative one, so that it could trigger a sign of danger and make itself become defensive. And then we end up becoming defensive because of these reaffirmed beliefs and put up these walls to guard ourselves further from getting hurt, all the while not realizing that this act hinders our chances of healing the wound in the first place. It’s a cycle we put ourselves through subconsciously over and over again, until we can become consciously aware of it through awareness and eventually heal ourselves of this negative core belief. Wow. That was a mouthful. But this is where I am at today. It took me a good few weeks of crying and feeling sorry for myself, but I’ve finally arrived thanks to God’s little wake up call. Today He allowed me to see the truth. He revealed to me that I was playing victim once again and catering to my negative thought patterns by purposely seeking out affirmations through others that I was indeed unworthy. He also revealed to me that I have been hiding behind that façade once more. That maybe it wasn’t hair and make-up, but it was definitely people pleasing and trying to mold myself into someone I was not just so I could feel valuable once more. I’m learning through Brene Brown’s book, The Gifts of Imperfection, that the only way to truly feel belonging is by accepting our true selves and allowing ourselves to be revealed to others through vulnerability. This is the only way we can find true belonging. This is the only way we will ever truly feel like we are loved, if we allow people to see the real us and if we allow ourselves to be the real us. We need to stop “hustling” for our worthiness and realizing that we are perfectly wonderful just as we are. And if people really don’t like us for who we are, it is not our problem to try to convince them otherwise. The people who genuinely will love you will love you for you, just the way you are. You don’t need to perform or please or perfect or prove yourself in order to gain love. Love is something that should be given freely. And it should never be given after being proven worthy of it. So I’ve vowed to stop trying. To stop performing. To stop perfecting. To stop pleasing. And to stop proving. I’ve decided to adopt the current life motto of I AM WONDERFUL and keep it at that. I know who I am. And the greatest gift and act of self-love I could ever give myself is to allow that privilege of simply being me. So what if I have short hair now? 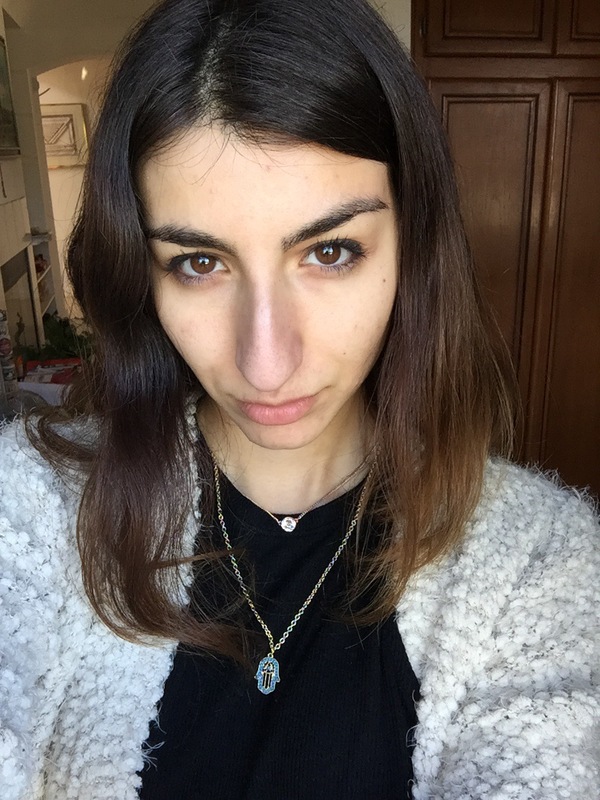 So what if my nose is bigger than average? So what if I’m not the hottest chick alive? I’m not perfect. I never will be. But I am me. And that’s all I could give. And if you like that already, then I’m pretty stoked. I think that’s all we can ever really ask of anyone really. For them to just be themselves for us. Because in reality, that’s the only thing we should ever strive to be. Ralph Waldo Emerson once said, “to be yourself in a world that is constantly trying to make you something else is the greatest accomplishment.” Indeed it is. Because the world is always asking us for more. And more isn’t always good in that case. Just being ourselves is wonderful enough. So I encourage you, don’t try to be anyone else. Be you. Just as you are. If you have flaws, OWN them. Be proud of them even. I know it’s scary and it makes you feel vulnerable, but I’m finding that the more confidence you show, the more your value will shine. That’s what true value is. That’s what true beauty is. Owning ourselves and owning our stories. Be You. Own who you are (flaws and all) and realize that person is very wonderful, very beautiful, and very worthy. Ch-Ch-Ch-Changes: On How Self Love Will Change Your Life. I just wanted to say welcome to my new followers and thank you for all of the likes and well…following of my blog. It’s so nice to see this page growing slowly but surely. It really motivates me to keep writing and to keep sharing whatever wisdom I gain with my followers to help them further better themselves. Feel free to keep liking, sharing, and commenting on any of my posts! I would love to connect with you! As I’m sure you’re all aware of from my last post, I did lose my dog over this past weekend and it has been pretty rough on me, but I am slowly pulling myself together and trying to move on with life, because apparently it doesn’t stop for anything…not even death. So with that said, it’s motivating me to start up a new post and move forward in the best way I can. But I will be continuing to practice patience and loving kindness with myself over the next few weeks to give myself some room to grieve and settle into these changes. So onward with today’s topic! I’ve been speaking to some people lately about my self love journey and the more I speak about it, the more I realize how much I really am changing. In just a year, I have gone from being this insecure, fear-driven, closed –off and worthless feeling individual to this woman who is constantly growing into her self confidence and finding love within herself that is completely changing her entire world. I don’t mean to sound cocky or arrogant, but it’s true. Self love has changed my life. I remember before I used to constantly have this empty feeling like I just wasn’t good enough for anyone. And whenever I had this feeling, I would strive to be good enough by going above and beyond and trying to please people in whatever way I could think of. I would get taken advantage of many times and it began to take a bigger toll on my self esteem because then I would begin to think that people didn’t respect me, which meant that I wasn’t good enough to be respected. I would carry this idea of not feeling good enough into my relationship as well. I would constantly ask my then-boyfriend to reassure me of his love. “Do you love me? Are you sure? You really do right?” I almost feel crazy now that I think about it. You could hear the desperation for love in my voice. I’ve noticed that the more we seek love from others, the more desperately we begin to crave it, and the less we actually receive it. People do want to love us, and we are lovable people, but when we put off that insecure, desperate vibe, it subconsciously does make people un-attracted to who we are. I’m not saying we aren’t worthy of their love, I’m just saying people are naturally more attracted to others who are confident and believe in their own self worth. I remember my own mother telling me that the reason why I felt this way was because I didn’t love myself. That concept seemed so foreign to me. What is loving myself? Ok, self, I love you. There. Was that enough? But then I realized it wasn’t. I had to truly change my core way of thinking and how I viewed my own self worth. I had to work on believing that I truly was worthy and deserving of love and that I had confidence hiding within me that was just waiting to be released. I notice that people who do lack self love are the ones who are usually very insecure, jealous, and fear-driven people. I’m not saying they are bad people; I’m just saying that they are broken. Broken in the sense that they do not love themselves. When we lack our own love, we begin viewing ourselves as unworthy of receiving anyone else’s love, so we tend to falsely believe that we must earn it instead. We try to earn it by doing whatever we can for others in hopes that in return they will give us the affirmation of their love. But this is not how healthy love works. I noticed that once I began to start working on loving myself more, my need for seeking love from others also began to decrease. I didn’t feel as desperate for it. I also began to feel more confident, feeling like I did not have to work as hard to please others so that they would love me in return. I started to notice that people naturally became more attracted to me and I naturally began to feel more open because of my new found confidence. An example of my new found confidence can be seen in my recent pleasure in speaking with strangers or acquaintances. A year ago, I would have never done this because I would have been too afraid of what they would think of me or that maybe I wasn’t interesting enough to be talking to them. My fear would have driven me far away from making any kind of connection. But now, I don’t care so much. I know my worth. I know that I am an interesting person and have interesting things to say. So I just talk. And what I’ve found out is people really aren’t that scary and everyone deep down is afraid of being just as vulnerable as you. But if you both put your guards down, you can truly find some real amazing connection. Just the other day, a co-workers asked me randomly about the breakfast I was eating (peanut butter toast with chia seeds and blueberries). She asked me what the tiny seeds were sprinkled all over my peanut butter. Normally, I would’ve just quickly responded with “chia seeds” and gone about my day. Very closed off. Very insecure sounding. But I explained to her in more detail what they were and the health benefits. She could tell by my vibe that I was pretty passionate and open about answering her question, so she asked another. She inquired whether I was the type of person who likes holistic and alternative health remedies because I reminded her of her own sister who liked to eat very health conscious. We then had a long conversation that dived into many branches of topics over health. This was someone I would’ve never talked to and knew nothing about other than her being my co-worker. But little did I know, we had so much in common. This is only one example of what self love can do, and below are the many other benefits of choosing to love yourself more. It can move you from fear-based thinking into love-based thinking. What I mean by that is you won’t be so afraid of everything and all the choices you make because you will trust that you are capable of moving forward and making wise decisions. You won’t feel afraid of sharing opinions or ideas. You will trust that you are worthy and your ideas are worth sharing. You won’t automatically think negative about outcomes but rather feel confident that even if it fails, you are no less worthy. It can produce confidence. You will begin to feel a sense of power and authority over your own life. You will feel like a somebody, that you matter, not in an arrogant way, but in a positive “I am worthy” way. It can create connection between others. Once you begin to feel confident, you will start to also reach out to others because you are taking the focus off your self and what you lack and searching for true connection instead. It will produce patience and kindness towards yourself. You will begin to stop expecting yourself to be perfect and start loving yourself imperfectly. You will realize that you are human and that you deserve the same kindness that you show to others. You will be easier on yourself and it will only motivate you more to try new things. You will begin to feel whole. You won’t seem so desperate and seek out what you lack (love, affection, affirmation) from others. You will realize that you are whole and don’t need anyone else to fill you up to make you feel complete. You will stop striving and people pleasing. One of the things people who lack self love do is people please. You will notice you don’t have to anymore because you will already know you are worthy and don’t have to earn anyone’s love or attention. It will produce inner growth and change. You will begin to notice that you are changing. That you are taking more risks. That you are going on more adventures. And it is all because you decided to love yourself. Lastly, it will help you help others. One of the greatest things that has come from me loving myself, is not the actual love I am feeling towards myself, but being able to help others who are in the same boat as I was. Helping them see the light and realizing their own potential – that they are worthy and deserving of love. So if that doesn’t convince you to start loving yourself, I don’t know what will. I know it’s hard. Coming from a place where I really did not know how to love myself or even what self love was, I know it’s tough to figure out how to even do it. But just take baby steps. Try to move outside of what you would normally do or what you would normally think. Take more risks. Challenge yourself. Be patient with yourself if you fail. Be kind to yourself if you don’t get it right away. Every little bit of action towards self love counts and soon enough you will see it as something normal rather than some concept that is foreign. I hope my story has been inspiring thus far. I, myself, am still learning each and every day how to love myself better and how to be more kind and compassionate. It truly is a journey because it takes a while, but enjoy the journey. Enjoy each little step of progress. Enjoy the times you fall, and you will fall, I can promise you that. Everything is a learning experience and we must look at life that way, rather than seeing it as something absolute that we must be perfect at and understand right away. The Self Love Challenge: I encourage you all to share your experience with me of how you are beginning to show yourself more self love. That is the challenge for today! I look forward to hearing your responses, or even if you don’t respond, at least yourself this question. How am I showing myself love today? How can I begin to show myself more self love in the future? Hope you all are doing ok. Follow us on Facebook – The Self Love Challenge! 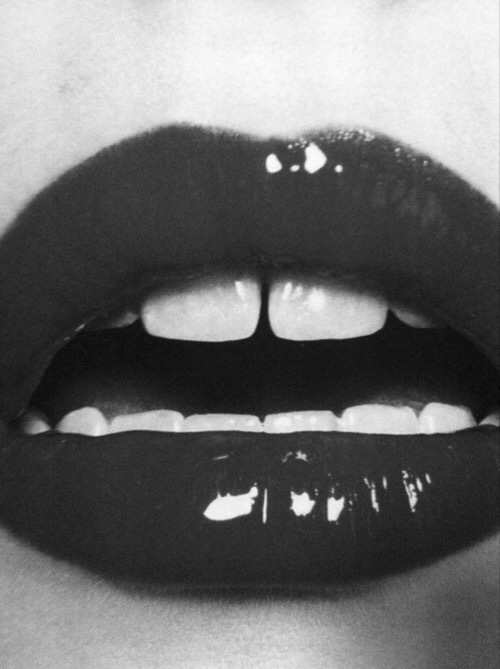 Put On Some Lipstick and Pull Yourself Together. We all have our moments of insecurity. The past few days I have been battling a bout of insecurity myself. What causes insecurity in the first place? I always thought it was just something that happens, for no particular reason. Some days we just seem more fragile than others. But I recently discovered, there is a deeper reason for it. Uncertaintly. Insecurity is bred from from uncertainty. When we feel uncertain about something, we start to feel insecure. It can be anything really. We start to feel like our job might not be as certain as it once was, so we begin to feel insecure. We act out of desperation. We start to work even harder, striving for this level of perfection so that we can prove our worth to our boss so they will praise us and say we are worthy and in the end, hopefully keep us in our position. However, at the same time we lose our confidence when we feel this kind of insecurity. We begin to lose our sense of worth and feel like we must earn it back, because somewhere down the line it was lost. However, when we begin to regain that sense of certainty, or sense of control really, we begin to feel confident once more. We feel that we are worthy and that all is well. The job scenario is just one example of where this kind of insecurity can be felt. But there are many other areas that are also common. For example, insecurity as a person, in or out of a relationship. This particular example is where I am currently struggling. Part of me feels insecure because I have no certain future anymore. I do no know who I will end up with, or if I will even end up with anyone at all. I feel uncertainty with the idea of whether or not I will ever get married or have a family. And because of these fears and my feeling of lack of control over my future, I am beginning to experience this insecurity. And it frightens me. I feel almost as if I am starting to act of out desperation in some ways, trying to hard to regain some sense of control, to feel some sort of certainty. It’s when we begin to act out of this type of deserpation when things further start to spiral downward. Because instead of being patient and waiting for things fall into place, we force them to happen instead and wind up either settling or doing something that simply doesn’t make us as happy as we could potentially be if we had just waited a little longer. I’ve also been feeling old emotions creep up like lonliness, sadness, and hopelessness. That is not healthy either. Because the other thing we all tend to do when we begin to feel these emotions, is quickly try to find a way to escape feeling them, which again makes us act hastily into further complicating our lives just so we can find some sort of control. So you see, insecurity only breeds trouble and complication. It is never a good thing to have. Of course, we should always be wary and not take things for granted, but we should never get to the point where we lose our confidence or our sense of worth. The truth is, we are always going to feel uncertainty throughout our lives. It is inevitable. So instead we must learn to be ok with uncertainty. To be ok with not having complete control, but instead, simply making the best decisions based upon the knowledge and control we do have. We should never act out of desperaton, but rather keep our composure and stay patient as things will always fall into place. So returning to my title of this post, instead of allowing yourself to fall into the trap of insecurity, “put on some lipstick, and pull yourself together,” as Elizabeth Taylor once said. In other words, regain your sense of worth, know your value, and act like you are worthy. Do not allow yourself to fall apart simply because you feel afraid of losing control or that your life is not going the exact way you had planned. Just wait. Be patient with yourself and realize that maybe there is still room to grow or maybe the timing is off or maybe there is still some missing piece that must fall into place. It’s ok not to know every single detail of how it’s going to work out. If we did, it would remove the mystery of life itself. And what fun is that? So I followed Liz Taylor’s advice. I’ve put on some lipstick and I’m going to go out into the world today with a brand new attitude. I know my worth. I know that I will be ok whether or not I have all the things I want in my life at this exact moment. I will be ok on my own. I do not need certainty in my life to feel like I am worthy of good things or worthy as a person. I will be patient and allow things to fall in it’s place as time goes on. Repeat those affirmations to yourself as well. Regain that confidence that you know you have inside of you. We were not born to live in fear and insecurity. We were born to feel confident and brave. This is the only way we are ever going to move forward towards the greater purposes of our lives. The Self Love Daily Challenge: Regain your confidence and pull yoursef together. Confidence: An Act of Revolution. I can’t begin to explain how much your life changes once you begin to see your own value. You begin to see yourself in a different light. You feel happier. You feel deserving. You feel like your eyes have been opened because a veil has been lifted. It truly is a whole experience to someone who has been living in insecurity most of their life. As far back as I can remember, I’ve always struggled with being insecure and having low self esteem. Maybe because I always felt like I just didn’t quite fit in anywhere or maybe it was because I felt like I wasn’t good enough to fit in in the first place. I struggled with not liking what I looked like, not in the sense of body image of being too fat or too skinny, but more so with my face. I broke my nose when I was little and it never healed properly so it has always been somewhat more prominent than “normal” noses and I was always made fun of in grade school because of it. Children would call me names or say I was ugly. It was pretty tough, and I can’t tell you how many times I came home crying because of it. And although, I am now past all those childhood hurts, other more adult insecurities have replaced them. I struggled with not feeling worthy of being loved or that I wasn’t good enough or deserving of it. I always believed that I had to earn love and I would seek after it constantly by trying to be perfect in every area of my life so I would be deemed deserving. I never realized how unhealthy this was until I was in the midst of my “breakdown.” My mother was the one who told me that the reason why I felt so overwhelmed and out of control was because I did not love myself enough, and that once I began to see my value, my whole world would begin to change. I didn’t really understand what she meant. I didn’t hate myself did I? I wasn’t one of THOSE people. I had this idea that insecure people were equivalent to those crazy psychotic women that you see in films who are portrayed as the crazy ex-girlfriend who’s completely insecure. That was not me! I loved myself right? But in reality, I didn’t. Because if I truly did love myself, I wouldn’t feel so fragile and unworthy. I wouldn’t be constantly seeking out affirmation from other people that I was valuable. I wouldn’t strive for perfection or go crazy over trying to hide my flaws. I wouldn’t be embarrassed or ashamed of who I was or try to change any aspect of my personality or looks. See when you really begin to love yourself, you begin to see your own value and how truly priceless you are. You begin to understand that you don’t need to be perfect and that imperfection is actually something quite beautiful. You begin to love your flaws because they make you unique. You begin to live according to your own standards and not try to adapt to any one else’s expectations of you. You stop seeking out other’s affections and instead let them come to you because you are worth to be pursued. You walk around with an air of confidence, which flows into fearlessness. Having confidence is not something we are necessarily born with like a trait. Yes, of course some people are more confident than others, just because it is their personality to be more extroverted and outgoing, which requires a form of confidence. But in reality, anybody can be confident. Because confidence is a choice. We can choose it and we have every right to choose it. It may not come naturally or easy at first, which is ok, but once we begin to choose it over and over again, we begin to develop confidence like a muscle and it becomes stronger. I feel like the first step towards acquiring that confidence is making that choice to love yourself instead of practicing self hate, as the world mostly tells us to do. It is a kind of revolution within ourselves because we are conditioned towards feeling like we must be perfect in such an imperfect, fallen world. But there is no such thing as perfect, and when we learn to love our imperfect selves, our confidence will also magically grow, and when that happens, our world will also begin to expand and so many possibilities will become available to us. Confident and secure people are the ones who experience true movement, because confidence is what gives you courage to expand and grow. We can’t grow unless we take risks, and we can’t take risks without feeling a sense of confidence that there is a chance that we will succeed. And if we are too busy hating ourselves, instead of loving ourselves, we will always remain in the same place – unhappy. 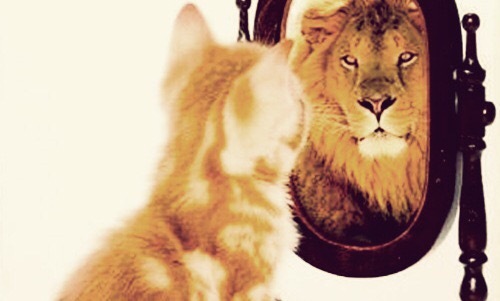 The Self Love Daily Challenge #041: Make that choice to start being confident. Consciously make that choice today to start being confident. Remember, with everything, it takes practice, but with time you will start to notice change within yourself. Go out and do something challenging, even if you fail, it will build confidence in you just for the sake of trying. Stop searching for other’s affirmations and seek your own instead. Practice self love, instead of self hate. Dress the part. Put on something that makes you feel good about yourself. Groom yourself nice. Walk upright and don’t slouch. Every little bit of effort counts towards creating the confidence you seek.